Danish women can now get all-inclusive vacations for the price of donating their eggs. The world’s biggest sperm bank has established a foreign subsidiary, allowing it to bypass Danish laws. However, not everyone finds it a reason to celebrate. 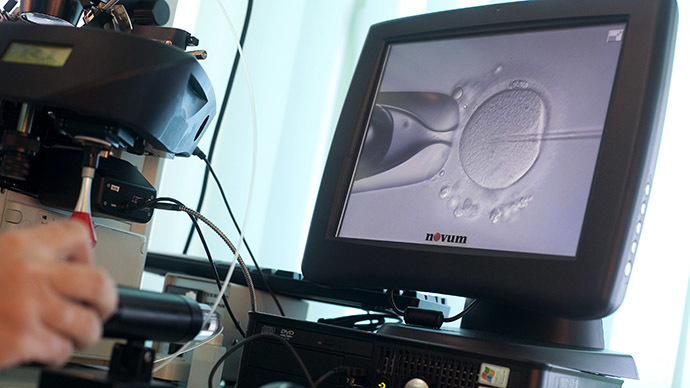 The law currently prohibits the sale of eggs, something the Copenhagen-based Cryos International Sperm Bank finds “absurd” and “discriminatory,” Denmark’s Jyllands-Posten newspaper reports. The company has been lobbying for years to change the laws, believing there isn’t “anything unethical” in its proposal to send women on paid-for wellness trips in exchange for their eggs. It also offers a compensation of 2,400 kroner (about $360). The process can be carried out either anonymously, or to help a friend. According to the company, women could even choose to simply store their eggs for the future, to be available for as long as 15 years. The practice of getting paid for your eggs has been around for some time – other countries, such as Spain and Greece, already engage in this sort of business, while Denmark’s neighbor, Sweden, offers a more sizeable 9,000 kroner for the woman’s troubles. The offer of all-expenses-paid trips is Cryos’ latest wheeze. By establishing subsidiaries in other EU countries, it gets to circumvent Danish law. And the sum will again depend upon the given fertility clinic; some destinations are reportedly offering up to 11,000 kroner. “I don’t see anything unethical in it. The Danish rules are absurd and detrimental and on top of that it is discriminatory that here [in Denmark] you can sell sperm but not eggs,” Cryos head Ole Schou told Jyllands-Posten. He says opening foreign subsidiaries was a forced move. “We want to help the childless, but we are also a private company and therefore we need to sell eggs in order to make money. And if we can’t do it in Denmark, they we have to do it somewhere else,” he says. But not everyone is so sure. Some believe that motivating people with paid vacations is not ethically sound when it comes to the question of reproductive rights. "It is an ethical discussion on whether one thinks that making interventions in the body and sell various body parts to be a business. We do not think that it should, and I think clearly, this is about the ethical boundaries,” health spokesperson for the Social Liberals party, Marlene Borst Hansen, told the Danish paper. She believes that the existing financial compensation for egg donations is enough, and should be treated as compensation for work – not as a material reward for the eggs. "We stand behind the legislation we have in Denmark, because we do not believe that egg donation must be a business. Of course one must have a compensation if you have a sick day or two on the basis of the interventions associated with donating eggs, but it should not become a way to make money," Hansen said. Neither official sees sense in doing anything legislation-wise to combat the practice, instead offering to appeal to the girls’ own common sense, although Borst Hansen believes laws could in future be implemented to prevent the practice from being advertised in Denmark.